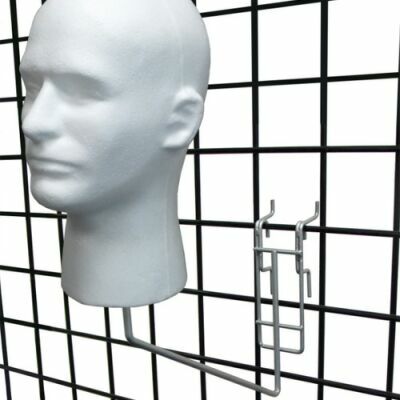 This bracket allows to hold styrofoam heads. 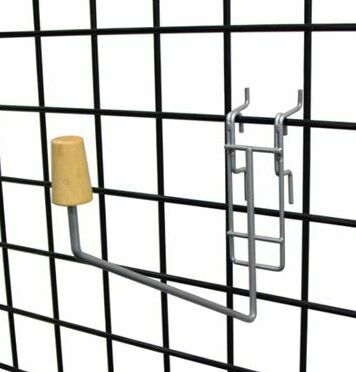 Bracket can attach to gridwall, slatwall, pegboard. 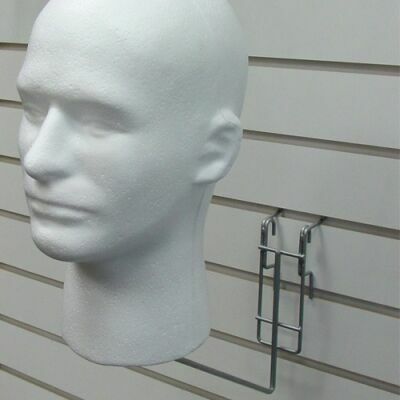 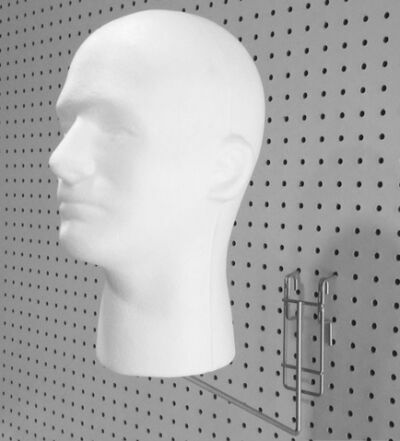 Styrofoam head mounts to wooden tip of this holder. 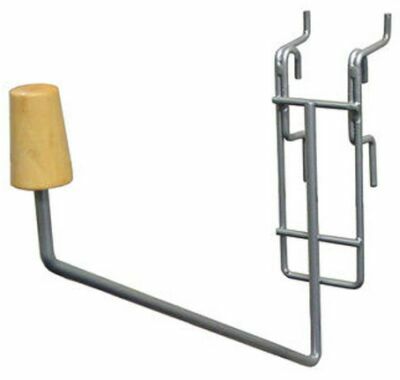 Price: $6.50ea Item #: HBRU Color: silver grey, wood tip.